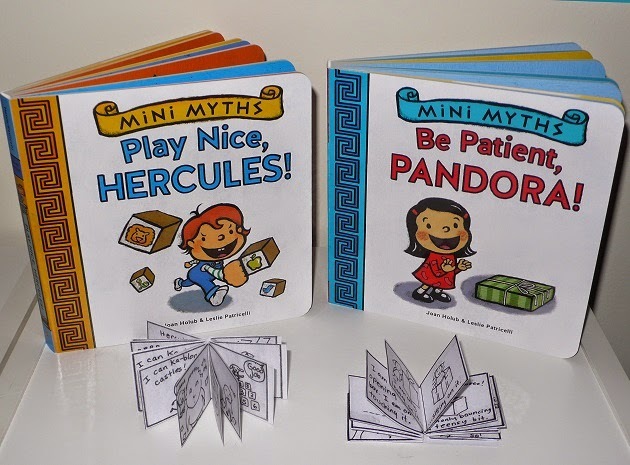 Thanks for having me and my Mini Myths board books on your blog today, Sharon! I’m a mythology geek, and co-author the Goddess Girls middle grade series and the Heroes in Training chapter books with Suzanne Williams. 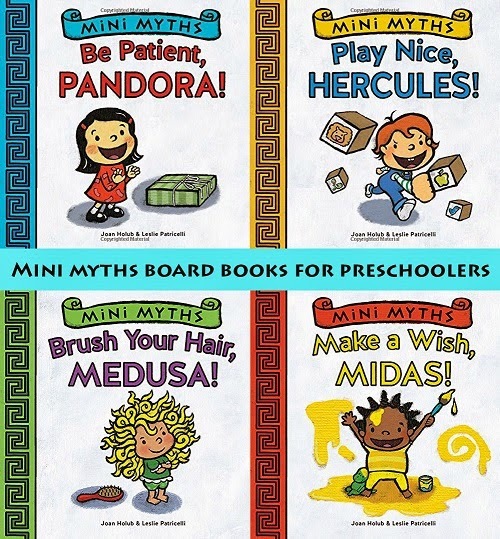 In Mini Myths, I wanted to translate the life lessons in the Greek myths into humorous parallel situations that are familiar to preschoolers. 3) she is ultimately beheaded. 3) finally Medusa goes for a haircut. There’s a super-short summary of each myth on the final page of each book, which I figured would be a help to both parents and kids! Joan Holub is the author of over 100 children’s books, including the picture books, Little Red Writing, Zero the Hero, and her upcoming The Knights Before Christmas. Her picture book, Mighty Dads, is a New York Times bestseller. USA only. Books autographed by me. 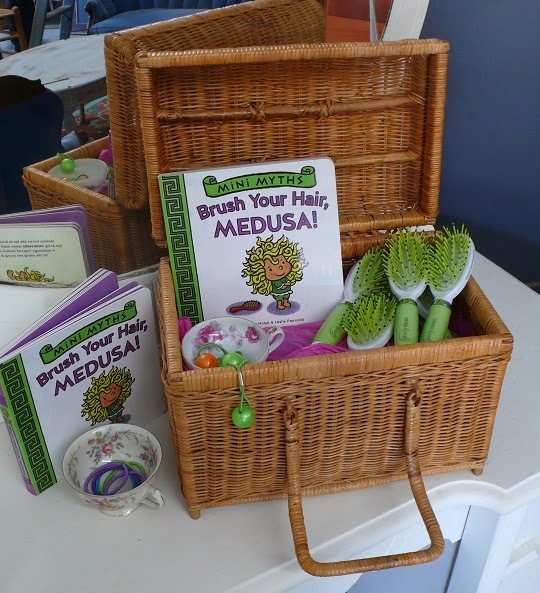 2 copies of: Brush Your Hair, Medusa! 2 copies of Make A Wish, Midas! A total of 4 books in the giveaway, 1 book to each of 4 winners. These are really cool books! The Titans were my favorites. I think I'm torn, but probably Athena the most for my reading pleasure. But for viewing, gotta go with Hercules! There are so many I enjoy.Give me Poseidon and Titans! These books are so adorable. I've read Medusa and Midas and I loved how the author had a page at the end explaining, in easy to understand words, a little about the characters. Such sweet reads to be shared over and over.